We’ve seen the trailers for the fifth installment of Mission Impossible, but if you’re not yet sure you want to see it, perhaps knowing that many of the stunts were performed by Tom Cruise himself may convince you. A new video goes behind the scenes of a shot that required Cruise to hang from a jumbo military-grade aircraft. The production team was nervous and the shot had to be taken eight times before they got it right. They outline the dangers, but luckily we know that it all went well. Cruise insisted on living the role of Ethan Hunt and this proves that he did just that. Although it is unknown how many of the stunts Cruise did himself, if he was willing to hang from an airplane it’s possible that a majority of the stunts are real. 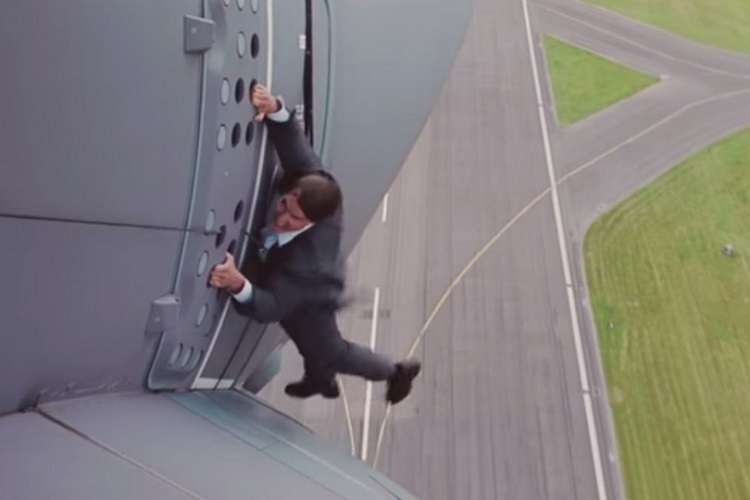 Watch how Cruise hung from the aircraft in the video below. Mission Impossible: Rogue Nation will hit the cinemas on the 31st of July.